With my love of Reggae music came my introduction to Rastafari and by extension, Ital food. It’s nothing new that a plant based diet is the healthier way to go; I’m not yet a vegetarian but I try their meals whenever the opportunity arises. So, I found myself having a lunch date at Natural Touch Vegetarian Restaurant one day. My friend and I went for lunch on a sweet Gustazo deal. If you don’t know about Gustazos and Brawta Living coupons, google them right now, and thank me later. For lunch, the Gustazo options were Tofu Special, Curry Chickpea Wrap or Lentil Burger with a smoothie or natural juice. Unfortunately some of the options weren’t available when we went, both of us had the lentil burger. The lentil burger came with a side of sweet potato fries. I enjoyed my meal, the lentil burger was moist and nicely seasoned, it had a nice sauce to it. I couldn’t figure out the sauce but it was yummy. It had the usual lettuce and tomatoes as condiments; and the whole wheat burger buns were appreciated. The meal was healthy to the core, and still tasted good. Just a heads up, the sweet potato fries were ital, i.e. no salt; they seemed to be baked as well. I didn’t mind but my date was hurt that they were salt-less. For my drink, I had a glass of sorrel; which was nice and refreshing, it wasn’t very sweet. If you want a healthy vegan or vegetarian meal, I would recommend Natural Touch Vegetarian Restaurant. They had much more options on the regular menu, reasonable prices, plenty of seating, and most importantly, great food. I will definitely be back. 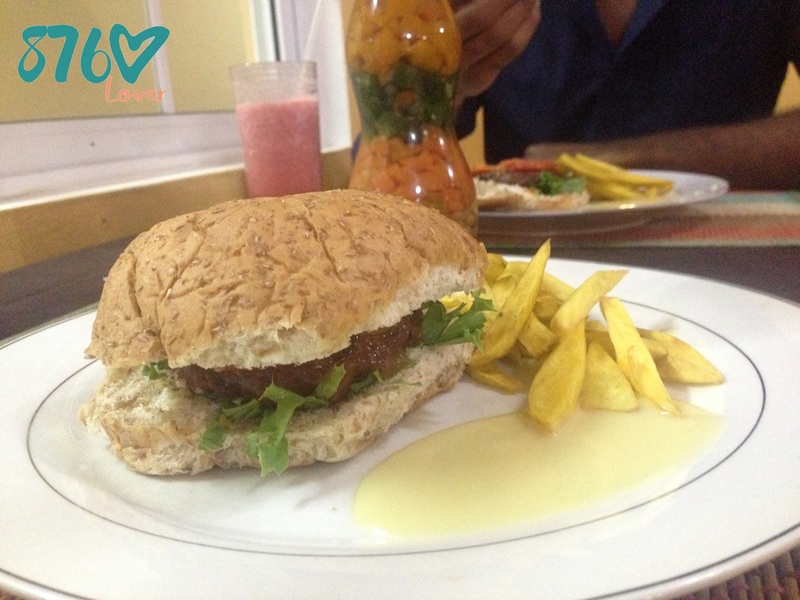 You can find Natural Touch Vegetarian Restaurant at Shop #22 in Orchid Village Plaza, 18 Barbican Road.